This was brought to my attention by competition sec, it explains why no 2 cameras get the same results when set to the same ISO and that it is a fake concept which has been manipulated by camera companies for the sake of their sales. following on from IAn & Mortons presentation here is their powerpoint as a movie if you wish to read things more clearly just PAUSE your video playing software. its a pdf of cheat sheet and keyboard short cuts for Photoshop & Lightroom. 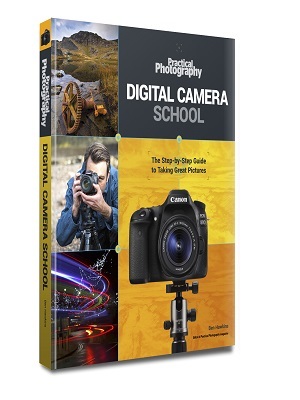 Practical Photography magazine are still running their Camera School course if you sign up via this link before 31st December 2017 for the DIGITAL version for Ipad or Anderoid for the cost £15.50 including 6 months subscription to magazine. and you also qualify for a FREE copy of their book costs £15.00 on Amazon. cant see how you can lose!!!! After last tuesdays talk here are the links to the different organisations and people I follow on youtube and across the net. (all web addresses need to be COPIED & PASTED into browser bar). Canon, Profoto, tamron & nikon. Robin has kindly put together this presentation video for your information and help. use the pause button and go back to read something of intrest.